“I wish I had stayed longer. Everything was just so relaxed and easy”… When we hear guests finishing off their stay with us, with these words, we know we’ve done our job. 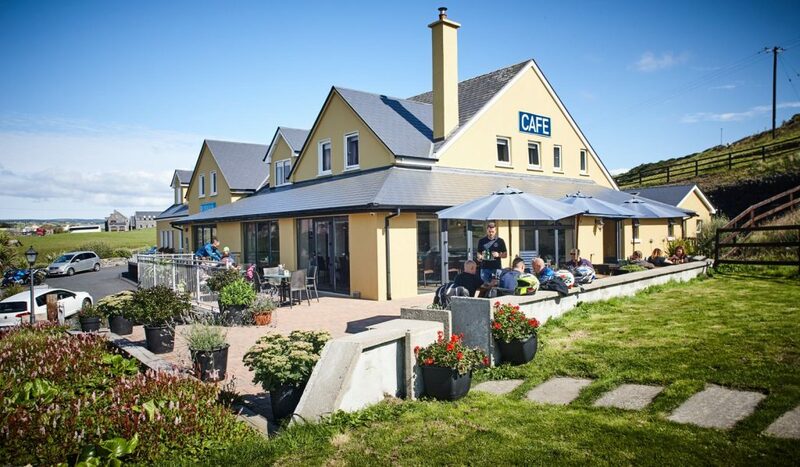 Because whether it’s helping you put your travel plans together, bringing you a well-earned cup of tea after a Cliff walk, or simply sharing our knowledge of the area with you – everything we do at Doolin Inn is designed to make your time with us as comfortable, relaxed and pleasurable as possible. We’ve worked hard to make sure Doolin Inn has just the character we want: the wonderful comfortable charm of a country inn, combined with all the facilities and must-haves of a good hotel. Our guests love the friendly service and warmth that makes them feel like a guest in our home – yet appreciate the standard of rooms and amenities that are always of hotel quality. It’s about relaxation, rejuvenation – and relying on the fact that we’ll do everything we can to deliver on your dream. What Makes Doolin Inn Different? We have always worked to the principle of ‘every day we add or do something to make us better’. Whether it’s a new breakfast recipe or a new addition to our bedrooms – it makes the difference. It could be a cosy fireside chat with guests in the lounge or the flexibility to come and go as you please. From knowing there’s a place to leave your muddy boots, to pottering over a delicious, casual breakfast buffet – you’ll enjoy a relaxed atmosphere and a caring team that gives our Inn its special brand of magic. We’ve invested in superior systems to make bookings and check-ins as easy as possible… while we also invest the time when you arrive to make sure we know what you want from your stay, and offer the helpful advice and information you need. From room finishes and amenities to friendly, homely service – our dedicated team works seamlessly behind the scenes, ensuring your stay is a memorable one. Doolin Inn has pride of place in a truly idyllic Irish coastal village. The kind of place where, if it suits you – you can park your car when you arrive, and not drive again until you leave. The best of Doolin is all right on our door step. Light, roomy, open and bright – Doolin Inn takes its lead from the fresh wild Atlantic air that welcomes you on arrival. Anthony, Deirdre and their team are your hosts at Doolin Inn – professionals who have both expertise and experience in the hospitality industry, from top of the range hotels to the world of hostel holidays. Anthony is a graduate of the Shannon College of International Hotel Management, beginning his career in hospitality at Clontarf Castle. Over the years, Anthony worked at many Four Seasons Hotels in Washington DC, Toronto and Hawaii – before returning to Ireland as General Manager of the Garryvoe Hotel. He took over the reins of Doolin Inn from his parents– who opened the very first ‘bed and breakfast’ in Doolin, some fifty years ago. Deirdre has notched up vast experience working with Jury’s Hotels, Clontarf Castle and Ritz Carlton. She has also experience within the up-market retail sector, and accountancy – ensuring you enjoy a relaxed country home experience with important finishing touches and a warm welcome. Our small and friendly team is always available, and Crebhan, Tom, and Keeling bring the benefit of their local knowledge, youth and energy. Stepan’s in the kitchen to serve up delicious treats, Sandra (who is fluent in Spanish) takes care of reception, and Treza is our housekeeper. Thanks to them, Doolin Inn is the thriving success it is today. Green Hospitality Awards Gold Award 2013, 2014, 2015 and 2016.